Class Drops On BBC Three Saturday 22nd October! The wait is over! 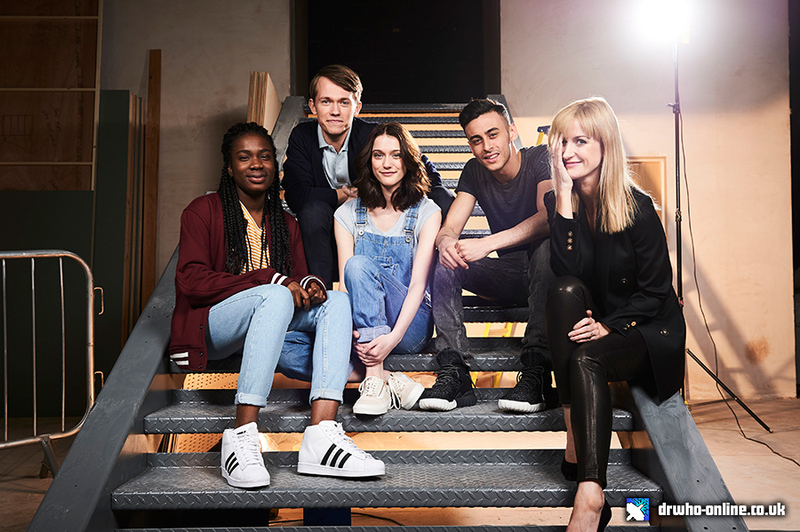 Today BBC Three confirm the new YA drama, Class, written by Patrick Ness, will drop its first two episodes on BBC Three on Saturday 22nd October. Peter Capaldi will join the cast of exciting new talent in the opening episode of the series, For Tonight We Might Die. Coal Hill School holds some very dark and deadly secrets in its shadows….but who will survive? 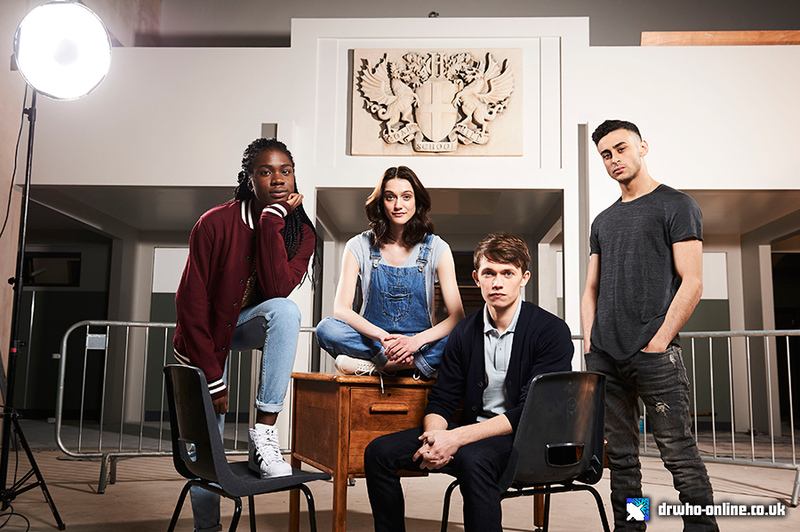 Charlie (Greg Austin), April (Sophie Hopkins), Ram (Fady Elsayed) and Tanya (Vivian Oparah), assisted by their physics teacher Miss Quill (Katherine Kelly), are charged with a great responsibility by the mysterious alien known as The Doctor (Peter Capaldi): guard against the creatures of nightmare that want nothing more than to find a way through to Earth and take it for their own. Grab your tickets now! An exclusive World premiere of the first episode will take place at Rich Mix on Thursday 20th October, the home of Coal Hill Academy, Shoreditch, with doors opening at 6pm. Tickets are limited and are now available via the BBC Shows and Tours website bbc.co.uk/showsandtours. Drawn at random, successful applicants will be allowed a maximum of one pair of tickets each. So What's Happening With Torchwood? “I was told that there are some obstacles to overcome, and every time I tried to talk about a way around them, it was almost like there was another obstacle. And this is a personal thing for me, this is not anything that was discussed, but I find it really a little disheartening that a company like the BBC can’t just say “Put your egos aside, we’re gonna go forward with this. “If you don’t give a damn about Torchwood, skip this post. For those of you who do .….. So what does this all mean for the future of the show? If there really is some bad blood between John Barrowman and Steven Moffat (the writer of Captain Jack Harkness' first ever TV episodes), then there obviously needs to be some resolution before everything can move forward amicably. It's clear, (and one is inclined to believe what Steven says here), that he is not trying to block the show, but according to Barrowman, someone is. The question is who, and, more importantly, why?! DWO would like to hear from our visitors as to what you think about the situation and how you'd like Torchwood to return. Please leave your thoughts in the comments box, below. John Barrowman has given fresh hope that a new TV series of Torchwood may be making its way back to our screens. 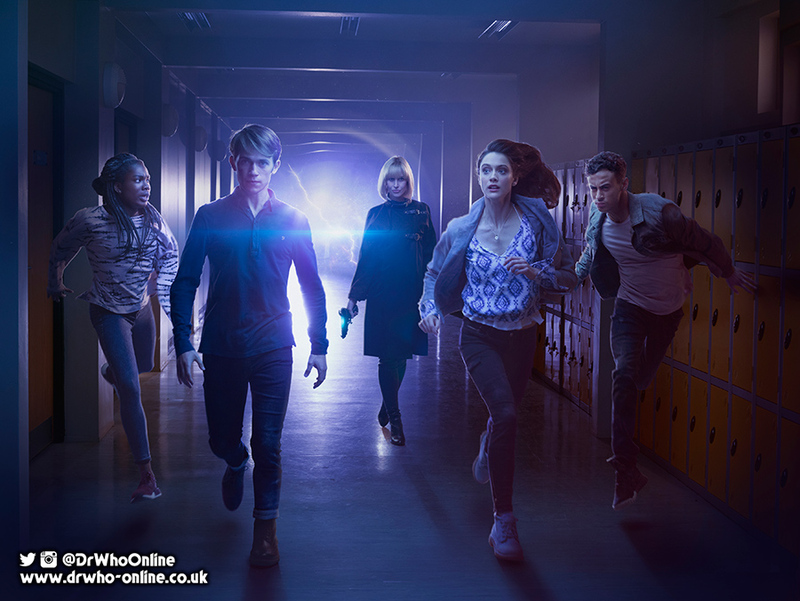 BBC Three today announces Class - a new 8-part, 45 minute Doctor Who spin-off from the acclaimed young adult author Patrick Ness. Class is a YA series set in contemporary London. Incredible dangers are breaking through the walls of time and space, and with darkness coming, London is unprotected. With all the action, heart and adrenalin of the best YA fiction (Buffy, Hunger Games), this is Coal Hill School and Doctor Who like you've never seen it before. 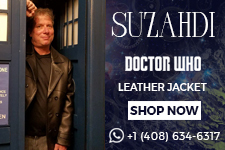 "I'm astounded and thrilled to be entering the Doctor Who universe, which is as vast as time and space itself. There's so much room there for all kinds of amazing stories, and to work with Steven Moffat and Brian Minchin to find a place to tell one of my own has been an absolute joy. I can't wait for people to meet the heroes of Class, to meet the all-new villains and aliens, to remember that the horrors of the darkest corners of existence are just about on par with having to pass your A-Levels." “We’re excited to give Patrick Ness this opportunity to work with us at BBC Three and the Doctor Who family. Patrick understands young audiences and I’m delighted he will use his incredible skills as a storyteller to delight audiences on BBC Three. BBC Three will always innovate and offer opportunities for brilliant new talent." Class is executive produced by Steven Moffatt, Patrick Ness and Brian Minchin. It was commissioned by Damian Kavanagh, Controller of BBC Three, and Polly Hill, Controller of BBC Drama Commissioning. An 8x45 minute series is produced by BBC Cymru Wales in association with BBC Worldwide for BBC Three. The series will film in and around Wales from Spring 2016 and be on air next year. Btw, plan is, "Class" airs on BBC3 online, then on BBC1, at which point the new episode of "Class" hits BBC3. It's cool. Fan reaction appears to be generally positive, but some fans have taken to Twitter sharing their dissatisfaction at the premise. Fans took particular umbrage in the way the BBC teased the announcement before 11pm last night. Wait until the show airs - as Doctor Who fans, there was a time we would have grabbed anything available with both hands. Let's show Class the support it deserves and come together as fans instead of fragmenting over something we have very little information about. For the BBC to have invested in the spin-off, shows immense trust and commitment to the brand, in a time when cuts and cancellations are at the forefront of news. It also shows trust and commitment to the spin-off itself, so, to bookend our 'verdict', lets wait until the show airs. Torchwood star, Eve Myles, who played Gwen Cooper in the series, recently spoke to BBC Breakfast regarding the future of the show. The BBC Press Office have issued a Press Pack for Torchwood: Miracle Day. The BBC have finally confirmed the aridate for Torchwood: Miracle Day as Thursday 14th July at 9:00pm on BBC One. The app, titled “Torchwood: Web of Lies”, will feature 10, three-minute motion comic narratives providing clues to “Torchwood: Miracle Day.” The app and first motion comic narrative will be available for download on iTunes prior to the premiere of “Torchwood: Miracle Day” - produced by BBC Worldwide Productions, airing this summer in the UK on BBC One and in the U.S. on Starz. Additional narratives and games will be available for download following each week’s broadcast transmission. “Torchwood: Web of Lies” is an episodic interactive experience for iOS that fuses together motion comic and gameplay elements to tell an original and digitally exclusive Torchwood story. Players will participate in a parallel storyline to “Torchwood: Miracle Day” that includes lead characters Captain Jack Harkness and Gwen Cooper – voiced by John Barrowman and Eve Myles. "Torchwood: Web of Lies" runs alongside weekly premieres of “Torchwood: Miracle Day”, providing fans with a way to engage in the world of Torchwood between episodes. It reveals a past day in the lives of Captain Jack Harkness and Gwen Cooper - a day they’ve both forgotten. 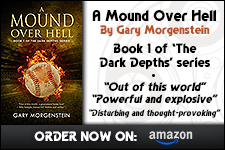 The events of that day fuel a modern day conspiracy-laced treasure hunt, as Holly Mokri, voiced by Eliza Dushku (“Dollhouse,” “Tru Calling,” “Buffy The Vampire Slayer& ;rdquo;), labors to uncover the secrets of Miracle Day. Each week a new episode unlocks, allowing players to access another piece of original motion comic narrative and game which ties into and extends plot developments of the show, as well as providing new twists in its own narrative. The first narrative and game will be released promotionally and the remaining nine can be purchased inside the app in packs of three, each for 59p. A special bundle for all 10 narratives and game can be purchased for £1.79. 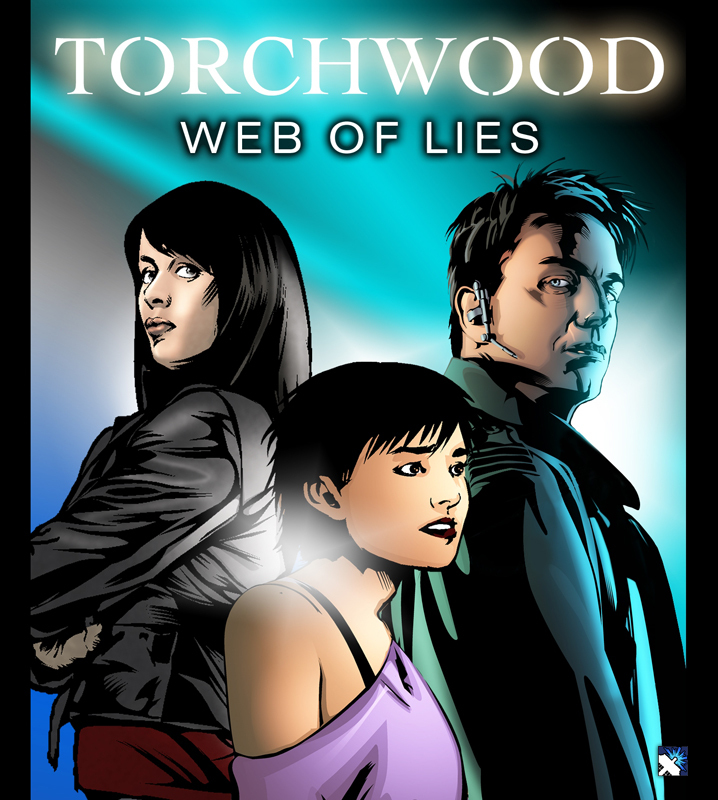 Developed by BBC Worldwide Productions and BBC Worldwide Digital Entertainment and Games, “Torchw ood: Web of Lies” is written by “Torchwood: Miracle Day” writers Jane Espenson and Ryan Scott. The motion comic and app is published by BBC Worldwide, with Double Barrel (“Tron: Legacy,” “Repo Men,” “Spartacus: Blood and Sand”) producing the motion comic and Powerful Robot (“Star Wars,” “Green Lantern,” “Scooby Doo,” “Total Drama”) producing the app. + Torchwood: Miracle Day airs in the UK and the USA on 8th July 2011. 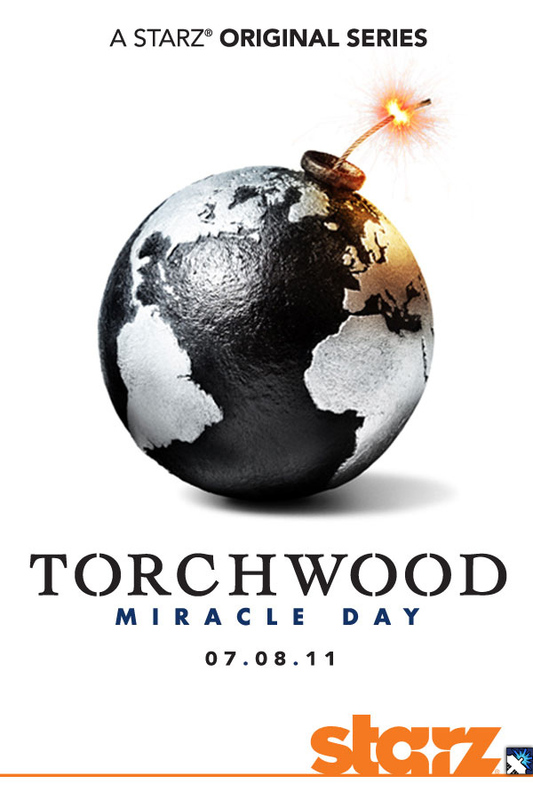 TV features website; TV Line, have unveiled the promotional poster and airdate for Torchwood: Miracle Day. 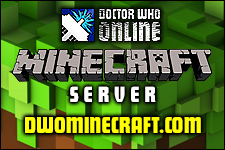 The new series will air on Friday 8th July 2011, as previously posted on the DWO News page. And what a team it is. Joining Captain Jack (John Barrowman) and Gwen (Eve Myles) on their international crusade — which includes an extended stopover in Los Angeles — will be ER‘s Mekhi Phfifer and All My Children‘s Alexa Havins. The season 4 ensemble also includes Bill Pullman as the Big Bad and Six Feet Under‘s Lauren Ambrose as a no-nonsense PR expert. Doctor Who spin off show, The Sarah Jane Adventures has scooped an award at this year's Royal Television Society Awards. The show picked up the award in the Children's Drama category. Also winning at the awards was Steven Moffat, who picked up the Judge's Award. The BBC have been in touch with some more details on the new series of Torchwood, now titled; Torchwood: Miracle Day. BBC Cymru Wales, BBC Worldwide and US premium entertainment network, Starz Entertainment, today announced new cast, plot and character details for the new series of hit BBC ONE hit drama Torchwood. This highly anticipated new series will have the title Torchwood: Miracle Day and will premiere this July. The plot of Miracle Day is the most explosive Torchwood storyline yet. One day, nobody dies. All across the world, nobody dies. And then the next day, and the next, and the next, people keep aging -- they get hurt and sick -- but they never die. The result: a population boom, overnight. With all the extra people, resources are finite. It’s said that in four months’ time, the human race will cease to be viable. But this can’t be a natural event – someone’s got to be behind it. It’s a race against time as C.I.A. agent Rex Matheson investigates a global conspiracy. The answers lie within an old, secret British institute. As Rex keeps asking “What is Torchwood? ", he’s drawn into a world of adventure, and a threat to change what it means to be human, forever. The 10-episode instalment has been written by a team led by Torchwood creator, Russell T Davies, and produced by BBC Worldwide Productions. Davies and BBC Worldwide Productions’ SVP Scripted, Julie Gardner, return as executive producers with BBC Worldwide Productions EVP Jane Tranter, and BBC Wales’ Bethan Jones. The series has been commissioned by Controller BBC Drama, Ben Stephenson, and Starz President and CEO, Chris Albrecht.